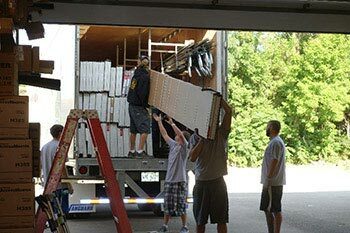 Thanks for visiting Local Garage Door Repair Anaheim Ca. 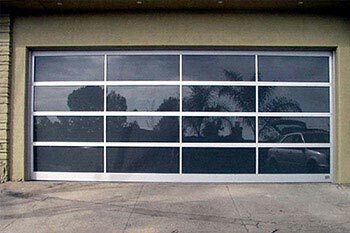 Local Garage Door Repair Anaheim Ca are happy to see you interested in our services. 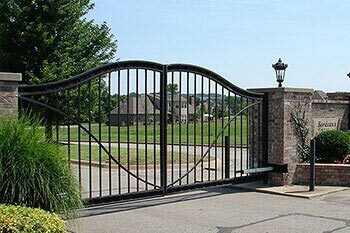 We strive to provide quality garage door and gate repair service, and will not stop until you are satisfied with our craftsmanship. 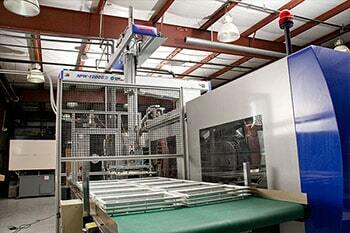 Our work is guaranteed and comes with a warranty, so you can rest assured that your repair will last you a long time. Please explore our website, and give us a call at 888-390-6416 if you have any questions, or wish to schedule an appointment. Anaheim is the second largest city in Orange County, which resides close to 340,000 people! Many residents in Anaheim are home owners with garage doors and driveway gates. Who understand that mechanical issues and accidents can happen, that is why we are ready to help you when you need us. Our technicians are nearby, and are ready to arrive to a service call within 2 hours max, after you call us. We carry most of the parts on the truck, which means that more than likely, your repair will be performed at the time of the arrival. 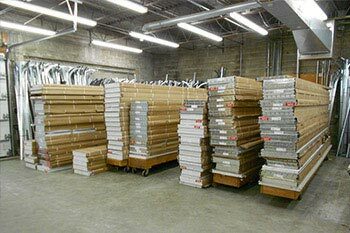 If not, we have warehouse nearby which can supply all necessary garage door parts and gate repair parts for same day service. We repair all types of garage door springs, from torsion to extension. Torsion springs are the most common springs that you will find on the current market, due to the life span of 10,000 cycles and above! 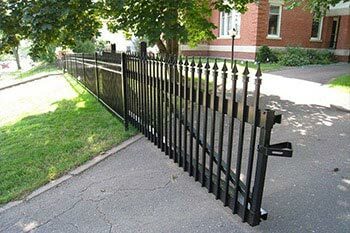 They can come in many sizes and in quantity, depending on the weight and size of your garage door. Located about the garage door, torsion springs will sit on a metal bar, usually in the middle of the shaft. Extension springs are older style, but are still on the market. 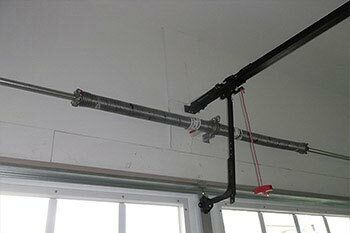 These are usually located on both sides of the garage door, and use a hooking system to the frame. Whichever spring you got, give us a call to get it replaced, and have your garage door secured. Cables on the garage door co-exist with the spring system that you have installed. These cables are installed one on each side of the torsion spring shaft on a cable drum (pulley system). 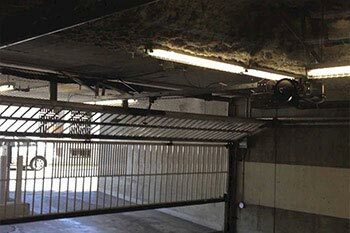 They are fine-tuned with the wounded torsion spring to work together by consistently lifting a well-balanced garage door and keeping it secure in the tracks, preventing it from falling in case of any fraying or breakage of the cable or spring. 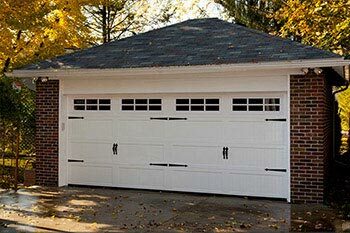 The main unit responsible for lifting the garage door is the garage door opener. This machine is usually located on the ceiling and is accompanied by a remote control, push button on the wall, safety sensors, and sometimes a backup battery. 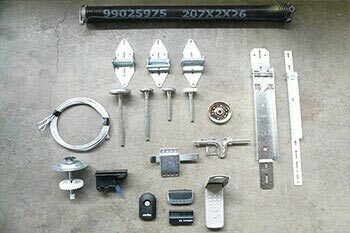 There are 3 main types of garage door motors on the market, Chain Driven, Screw driven, and Belt. Each motor has its own benefits and drawbacks, including prices. 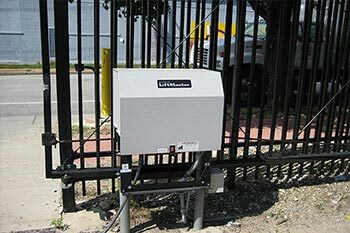 To learn more about the garage door opener and its component repair, give us a call, or visit our garage door motor repair section. 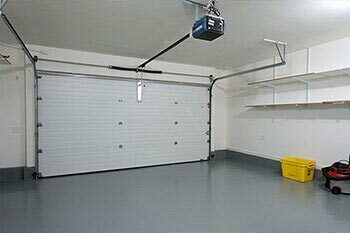 Garage door rollers are responsible for smooth movement of the door. These rollers can break due wear and tear, rust, poor installation/craftsmanship; the expected life time is 5-7 years. 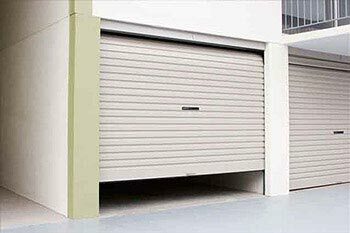 Garage door tracks keep the rollers within its borders, allowing the rollers to slide in a fixed direction. 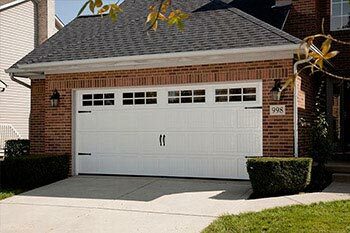 Because of the heavy weight of the door, these tracks can become out of balance causing the garage door to vibrate and further put stress on connected parts, such as springs and opener, which will result in unnecessary costly repair. It’s important to maintain straight well-balanced tracks.